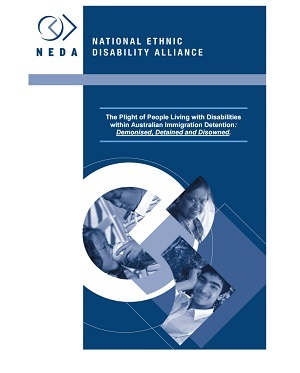 This report by the National Ethnic Disability Alliance Inc. focuses on the plight of people living with a disability detained in Australian run immigration detention centres, in both onshore and offshore facilities (including Christmas Island, Nauru and Manus Island). Click below to access the report. National Ethnic Disability Alliance Inc. (March 2015). Document name: The Plight of People Living with Disabilities within Australian Immigration Detention.